Both of my sons have HEXBUG toys and really enjoy playing with them. We all love BBC’s Robot Wars too. So this was always going to appeal. 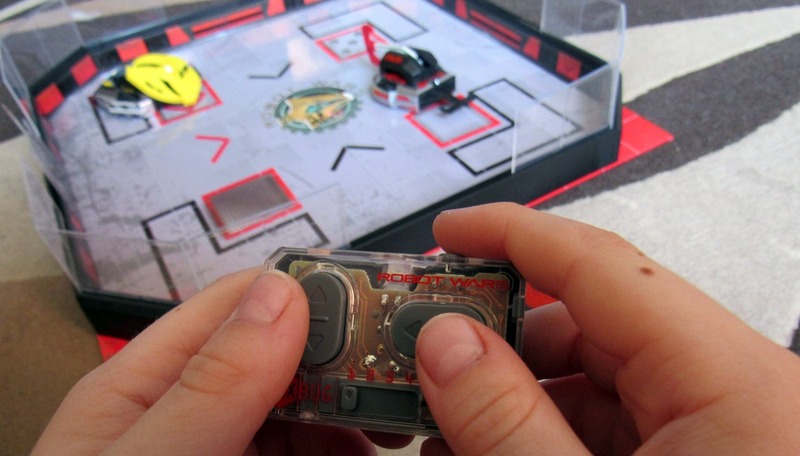 The HEXBUG Robot Wars Arena combines the hugely popular micro robots and the much-loved TV show. The set comprises two robots – namely Royal Pain and Impulse – two infra-red remote controls, ten pieces of armour and weapons and, of course, the iconic arena. Setting up the arena was quick and easy. The board, walls and panels all slotted together perfectly. Then it was simply a matter of switching on the robots one at a time and pairing them with the remote controls. Before battle commences, players can add the armour and weapons to their robots. The side armour snaps on magnetically while the front and back weapons slot in. Again, these are well manufactured and easy to put in place. Using these interchangeable pieces gives players the opportunity of using different strategies. Royal Pain has a wedge, battering ram and shovel while impulse comes with a pitchfork, wedge and spikes. These complement their respective main weapons – a hammer for Royal Pain and a saw blade for Impulse. Fret not, despite its name, this weapon isn’t sharp – it’s a fast-spinning disc. The first player to remove both of their opponent’s side armour pieces wins. The controls are simple to get to grips with too. Much like in many classic video games, they’re the four directions and attack. It didn’t take the boys long to master them and their robots were soon hacking away at each other! Both robots are nice and robust and stood up to the whacking they gave each other. The boys loved controlling their robots and competing for bragging rights. There was plenty of maniacal laughter when they succeeded in sending armour flying too! 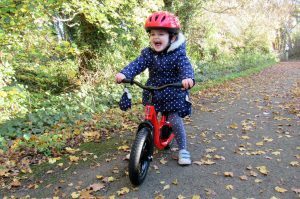 It’s a lot of fun and ticks the STEM box as well which is always a good thing. This is one playset that is going to get a lot of use in our house! 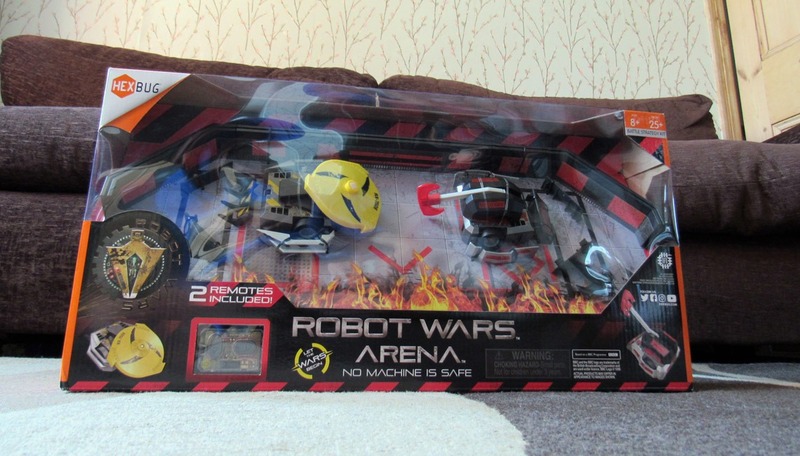 The HEXBUG Robot Wars Arena has an RRP of £79.99 and is available exclusively at Smyths Toys. 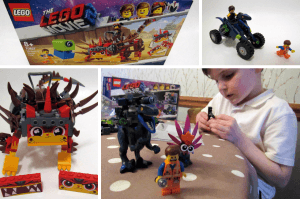 To celebrate the launch, I have one set – along with a £50 Smyths voucher – to give away. Please note that the voucher must be used by the end of July 2018. 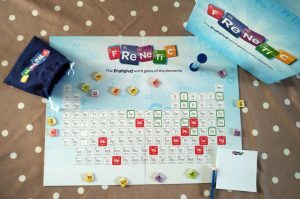 To be in with a chance of winning, enter via the Rafflecopter widget below. As always, you can use as many of the entry methods as you like. Good luck! 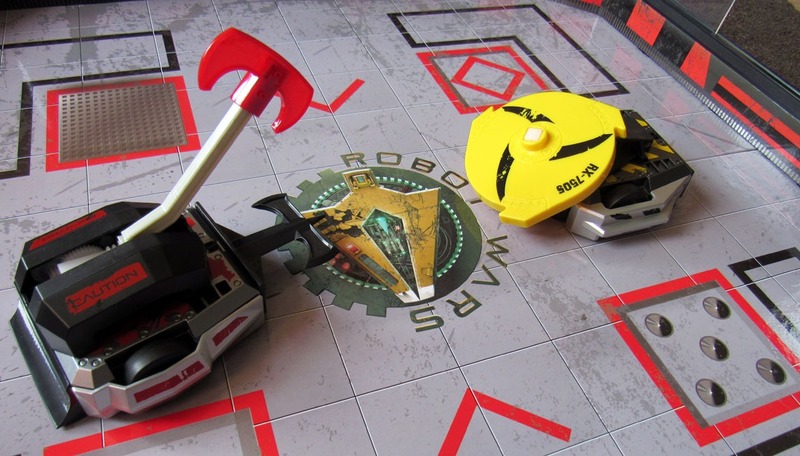 Disclosure: I received a HEXBUG Robot Wars Arena set to review and keep. Blimey, you’ve got me thinking. I will go for Shunt. Storm II is my favourite 🙂 Great comp, thanks for running this. 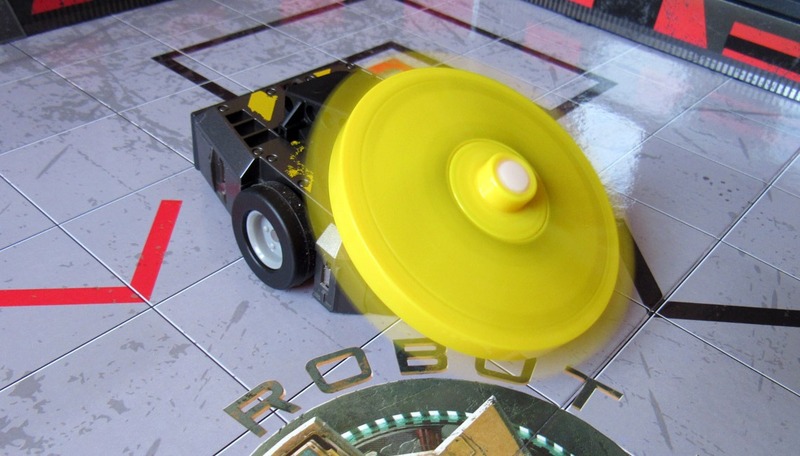 Hypno-Disc was my favourite – I loved the way it shredded opponents. My favourite in the old era was Hypno Disc, in the modern era it’s probably Terrorhurtz. Razer is my favorite robot wars robot! My favourite robot has to be Hydra. Coz I own it (among others including Wheely Big Cheese, Titan and a whole lot more). Dead metal was the thing of nightmares! Mr Psycho is so cool! Razer for me, thank you. I always loved Matilda. Such a fantastic robot! With a name like Royal Pain, it has to be that!